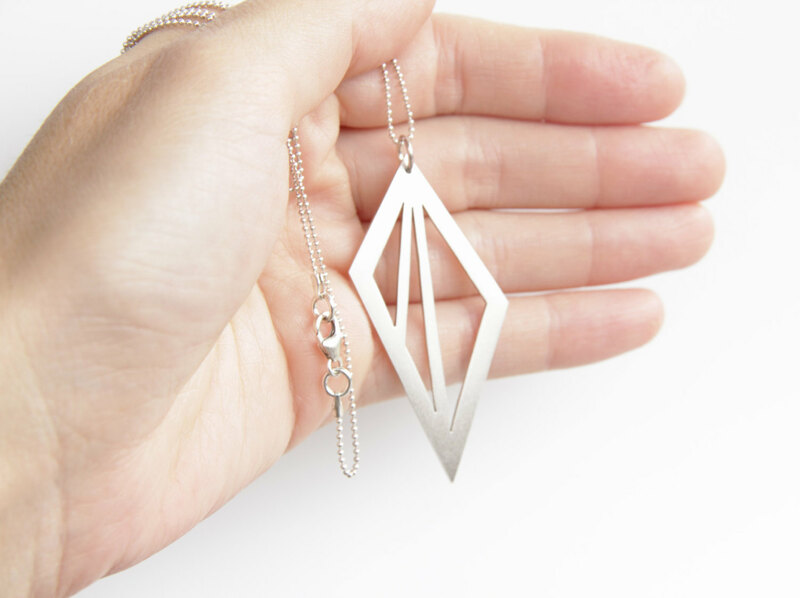 - The geometric piece is hand cut from sterling silver sheet, 1mm thick. - It hangs from a beautiful and delicate sterling silver ball chain, fastens with a sterling silver lobster claw and jump ring. 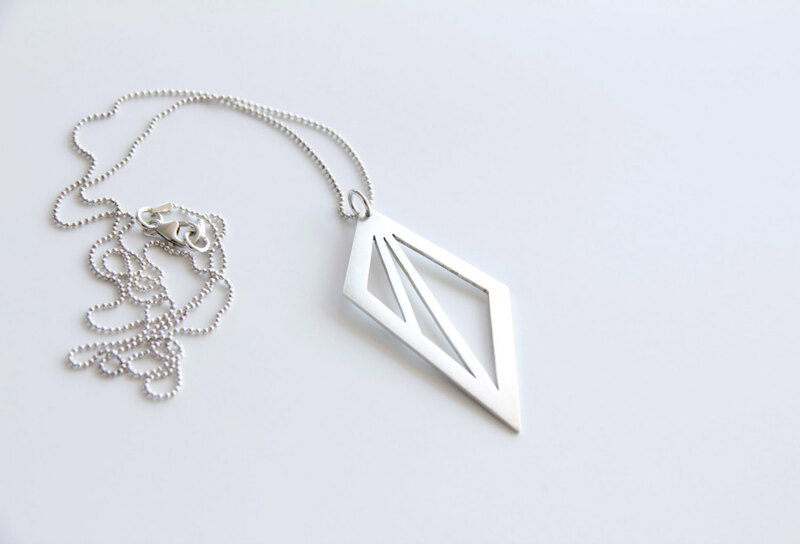 - The geometric piece measures 5.5cm (2.2 inches) long by 3cm (1.2 inches) wide. - The necklace is 63cm (24.8 inches) long.